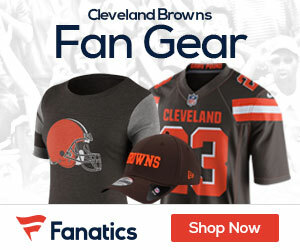 The Arizona Cardinals head east for the second time in three weeks Sunday as they take on the struggling Cleveland Browns at First Energy Stadium looking for their 6th win of the season. The Cards were winners on Monday night at home over the now 1-6 Baltimore Ravens, and will look to take care of the Browns, who have won just twice this season against five losses. One huge stat that jumps out in this game is how the Browns plan on stopping Cards running back Chris Johnson. After finishing with 122 and a touchdown in Monday’s win, Johnson is second to Atlanta’s Devonta Freeman (621) with 567 rushing yards. He also leads the NFL among backs with at least 80 attempts at 5.1 yards per carry. The Browns are 32nd in the NFL in run defense, allowing over 150 yards per game on the ground. They gave up yards in chunks last week to Rams rookie Todd Gurley in a 24-6 loss in St.Louis. 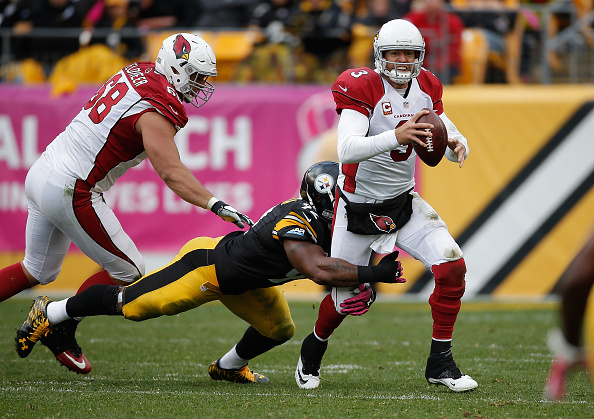 Carson Palmer is well aware of playing the Browns, as he did it for a number of years as a member of the Cincinnati Bengals. The Cards are 6th in the league passing the ball at 281 yards per game. The Browns don’t know for sure who will be under center on Sunday, as Josh McCown was beaten up badly in St.Louis, and the team may have to got to backup Johnny Manziel for this showdown with a good Cards D.
Browns coach Mike Pettine has said that McCown will play if he’s healthy. ”That’s a credit to his toughness, his resolve,” Pettine said of McCown after he was beat up badly last week. If the Browns are going to have a shot against the Cardinals, they need to shore up their defense, which is one of the worst in the league and has allowed 24 points per game. If Arizona can get into the 20’s in terms of points, it’s almost a for sure they will leave Cleveland with a win. Consider that the Browns are facing an Arizona defense that ranks seventh at 223.7 passing yards allowed per game, leads the NFL with 14 interceptions and has returned three for scores. Too much going right for the Cards right now, and the Browns season of disaster will continue with another home loss.